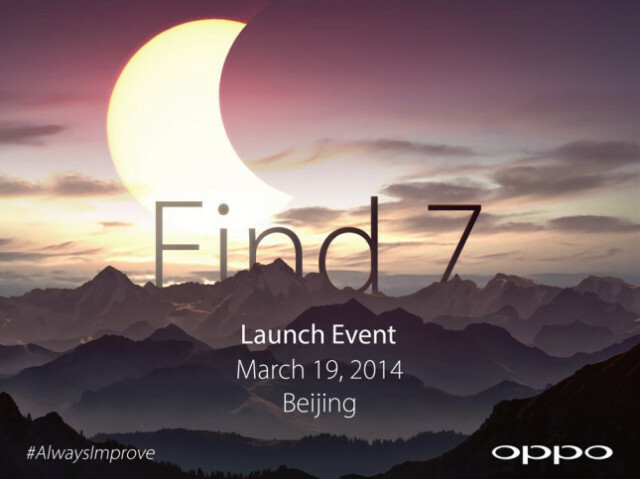 Home > Uncategorized > Oppo Find 7 to launch on March 19 – Is the phone as cool as the Invite? The Chinese smartphone manufacturer Oppo who brought us the Oppo N1 (the first smart phone to house a rotating camera) is at it again. They have been sending out invites for their next big flagship device the Oppo Find 7. The event is scheduled in Beijing, China for the 19th of March 2014. At the event Oppo are expected to launch the device in two variants: One which has Full HD 1080p display and the Second has a 2K display. The latter is the one we are mainly interested in as it would be a first for any smart phone manufacturer to launch a device with that resolution display. Oppo are usually known to go all out with their events, even the invites are fancy. This time though they have stepped up a notch, a video has been posted online by them showing the invitees “How to make the invite work”. The invite package is a box with a prism and documents containing QR codes which would install a companion app in your Android or iOS device. Well it would be better if I just show you the video than me explaining it. So mark your calendars for the launch of the device and you can always follow the official #AlwaysImprove hashtag on Twitter.